Jefferson Elementary School students Tyler Carlis, left, and Eliyah Grimes-Jackson, right, were among the ten MetroScapes winners. Some artists dream of selling a piece to wealthy collectors. Others dream of being shown at prestigious galleries. 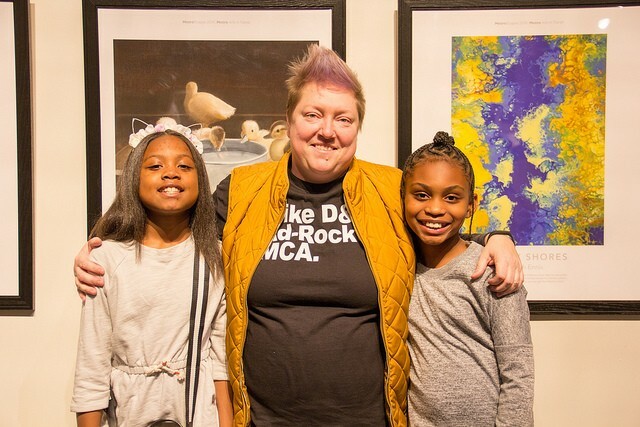 But the ten artists chosen in Metro Transit's annual MetroScapes competition will have their work seen by a much bigger audience. Not only were the winning pieces revealed at a Third Degree Glass Factory show earlier this month that drew an estimated 400 attendees, but they'll be mounted at bus shelters across the St. Louis region for a full year. That means a captive audience of tens of thousands of public transit users. David Allen, director of the Metro Arts in Transit program and a juror on the selection panel, said in a press release that he keeps that audience in mind. 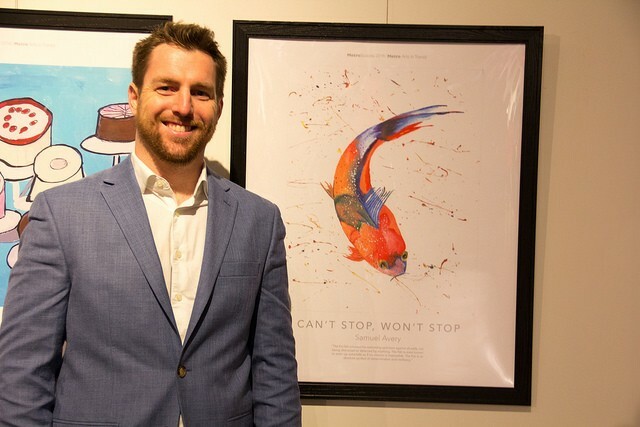 With Can't Stop, Won't Stop, St. Louis artist Samuel Avery pays tribute to the indomintable koi fish. This year's selected artists cut across a wide swath of the local population. Two, though, share an arts teacher. 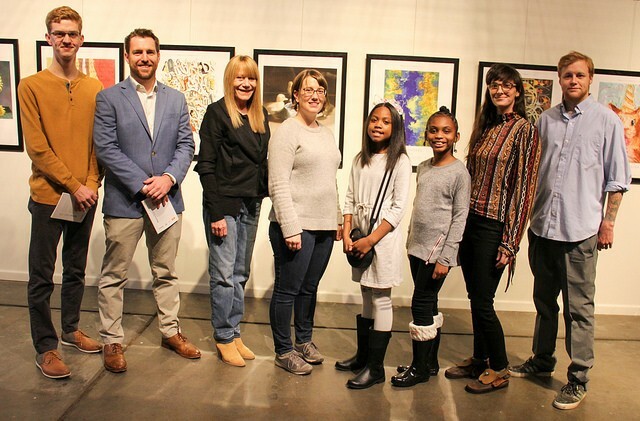 Fifth grader Tyler Carlis, whose piece honoring Maya Angelou, had her work submitted by Theresa Hopkins, her art teacher at Jefferson Elementary School in north St. Louis. That was also the case for fourth grader Eliyah Grimes-Jackson, whose work has a much different focus: cake. Grimes-Jackson said the idea came while paging through a book supplied by Hopkins. “I was like, ooh, I should do this, because almost everybody in the world likes cakes,” Grimes-Jackson explained in the press release. 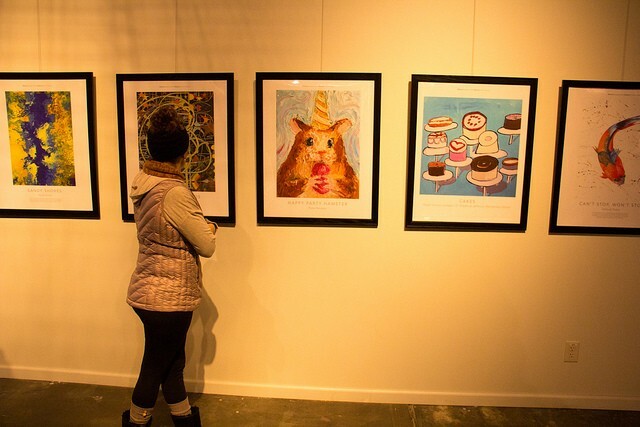 An art lover at Third Degree Glass Factory surveys "Happy Party Hamster," as well as "Cakes." Other artists are a bit more seasoned. 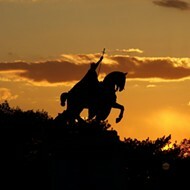 Tim Judge is a retiree from Washington, Missouri, while St. Louis artist Rosa Nevarez is a two-time MetroScapes selectee. Nevarez, clearly, knows what transit riders want — and this year, her chosen piece is called "Happy Party Hamster." 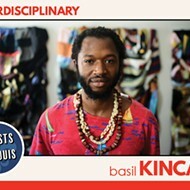 You can see all of the winning submissions online at artsintransit.org, as well as learn more about the project. It's funded in part by the Regional Arts Commission. 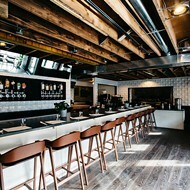 The winners celebrate at Third Degree Glass Factory earlier this month.